Heading home from a comedy show in the city on Good Friday. Waiting on a mostly empty platform at Flinders Street station. Gorgeous Thursday evening sunset in Docklands, Melbourne. A lovely end to a short week before the Easter long weekend. Sunset over Docklands, taken from the 29th floor of Collins Square. Sunny Saturday afternoon at the Independent Goods Line that runs under Footscray train station. A freight train heading towards Melbourne city on the South Kensington–West Footscray railway line, next to Footscray station. You get great views of the clouds from the 29th floor of a building in Docklands. Looks like it’s raining across Sunshine this afternoon. Or maybe that’s Deer Park? I don’t know — it’s difficult to judge distance from this far away without an obvious landmark! Looking towards Sunshine from the 29th floor of a building in Docklands. I got to walk through West Melbourne early this morning while on my way to volunteer at the Run for the Kids fun run. There was an issue with the trains so I had to get off one stop before I wanted to and walk the rest of the way. I didn’t mind too much because the walk was nice and I got to take this photo of the stage door at Festival Hall (formerly a stadium, now a heritage listed concert and sporting venue). Last night Nadia and I went to watch Judith Lucy’s latest show at the 2019 Melbourne International Comedy Festival. If you’re into an honest, brutal, hilarious, mature, and insightful comedy about love, relationships, and society, then you should go watch it as well. Judith is fantastic. 10/10 would recommend. Waiting for Judith Lucy to come and perform her fantastic ‘Judith Lucy vs Men’ show. 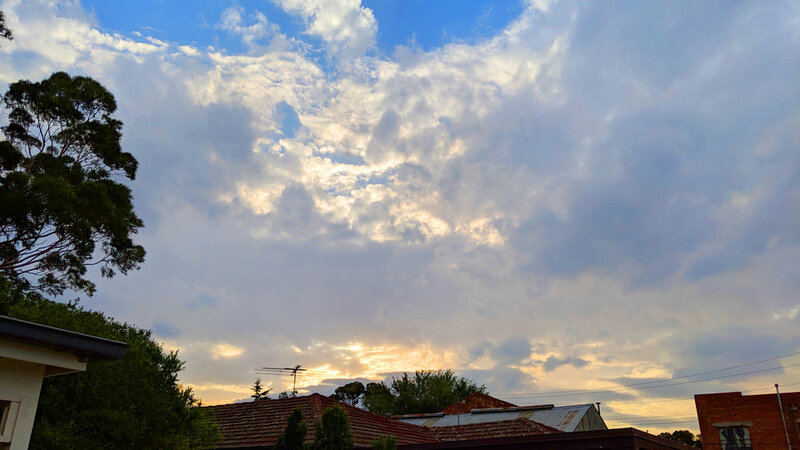 Multilayered, multidimensional sky on an increasingly windy evening in Melbourne — at the leading edge of an approaching rainstorm. Dramatic skies at sunset in Kingsville, Victoria, Australia. Summer is officially over in Melbourne when cafes dust off and wheel out their outdoor space heaters. A large outdoor space heater warms people who are sitting at an outdoor table of a cafe in Docklands, Melbourne. 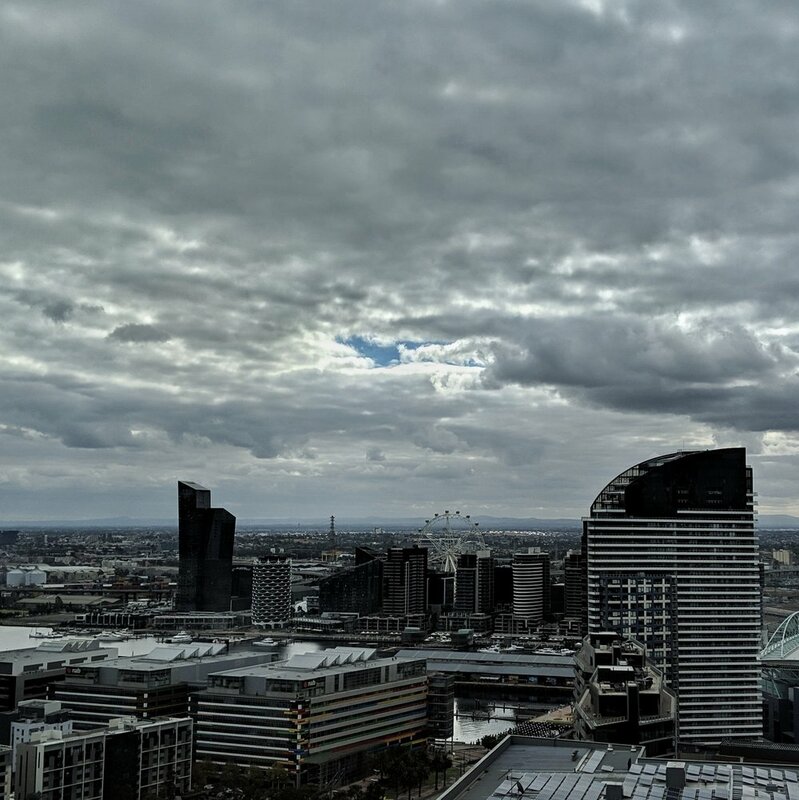 Partly cloudy day on the 30th floor at Docklands, Melbourne. City bound train at Yarraville railway station. The sunset over North Melbourne station was particularly golden today. I tried my Google Pixel 3XL phone’s portrait mode on Maggie. The results were excellent! We had a super hot start to 2019. 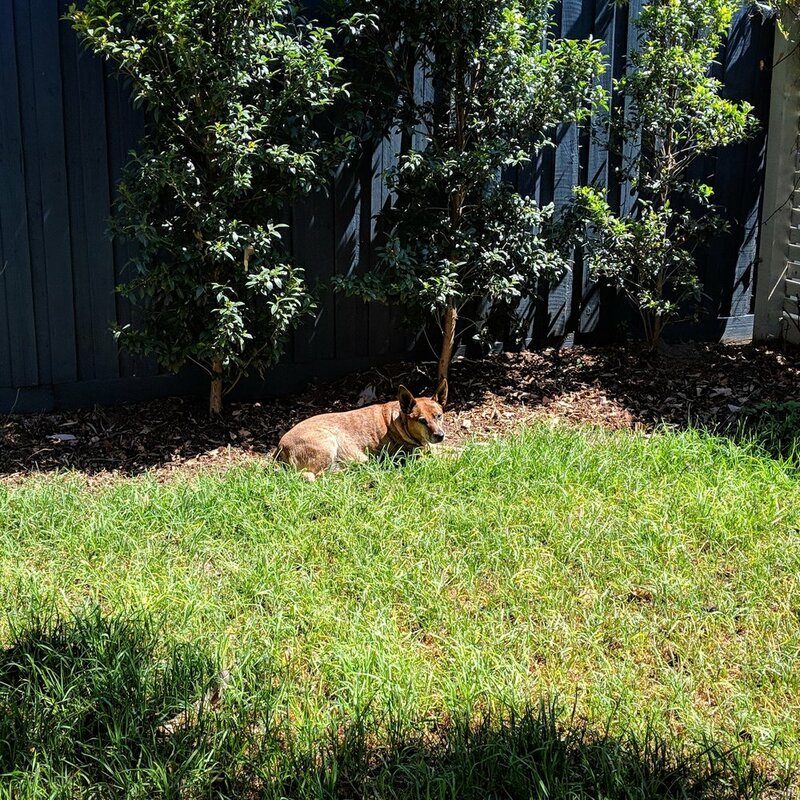 Maggie, being a very Australian dog, loves the heat. It's going to be 42 degrees today. [@nadianiaz, hanging up the laundry] It's *thoroughly* unpleasant outside. 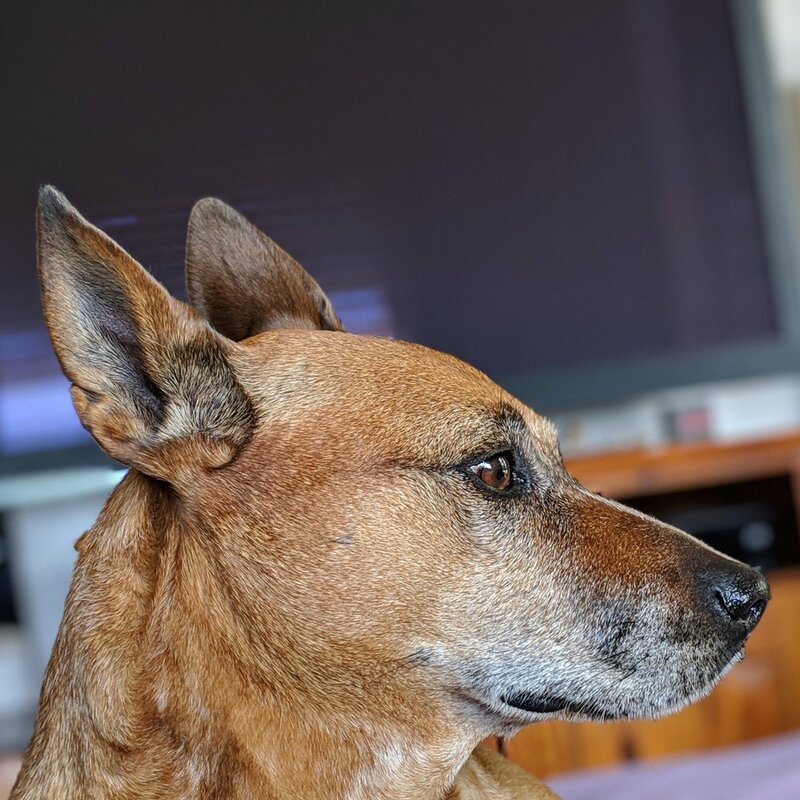 [Maggie, an Australian cattle dog] It's perfect. When the weather is nice, though, we all like to hang out in the garden. Maggie loves her rope toy. Maggie recommends a slow and steady deconstruction of your rope toy. "Take your time and pull that thing apart thread by thread," she says. January saw the start of #SlowSummer on SBS. 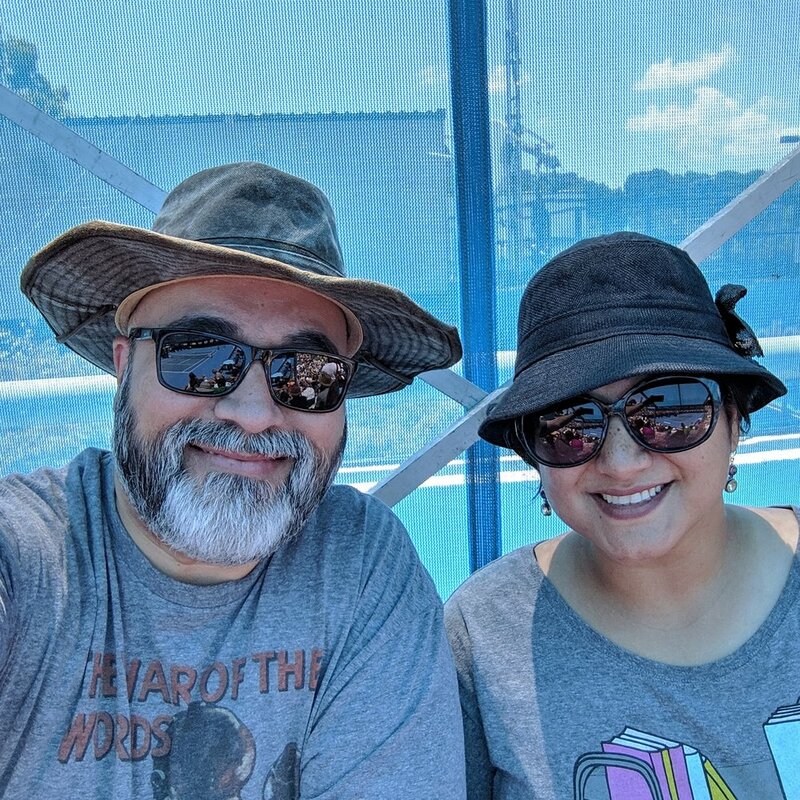 Nadia and I went to the Australia Open tennis tournament, where every year we take a selfie. Melbourne went through three-ish heat waves in January. The last series of hot days ended with rain showers across the city. I work on the 29th floor of a building in the Docklands that has great views. Gap in the clouds at sunset from Docklands, Melbourne. 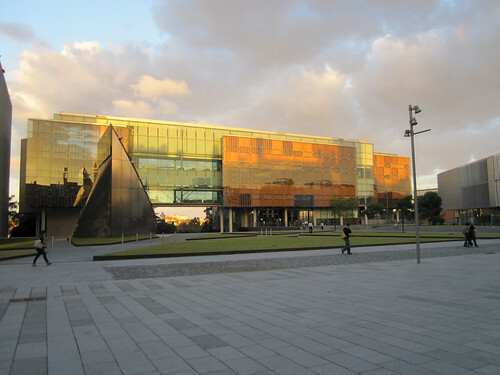 A couple of weeks ago I went to Sydney to attend a the ConnectNow Conference. That took place on Wednesday and Thursday so I took the Friday off to explore the city (as much as I could in one day). 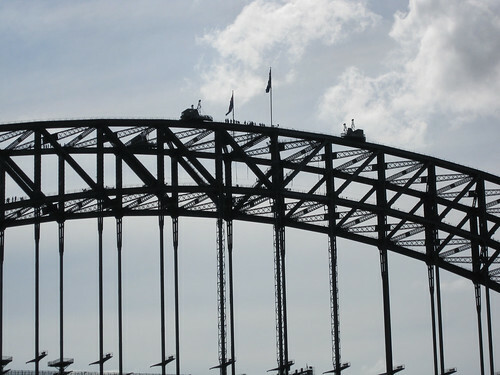 The photos from that day are on my ‘Sydney April 2010’ Set on Flickr but here are some of my favourites. 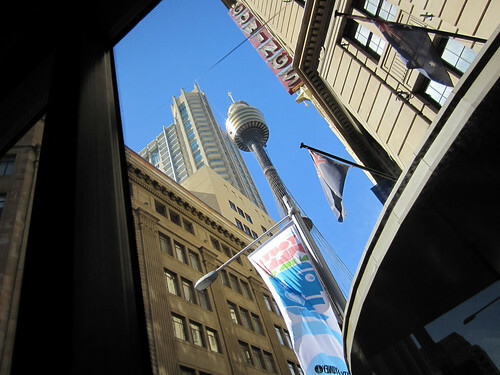 I also managed to get a good perspective shot of the Sydney Tower from within the Sydney Explorer tour bus. All in all, I had a great day wandering around this gorgeous city. I would have liked more time to explore but that’s no fun without Nadia so we’ll check the city out properly when we go there for TAM! 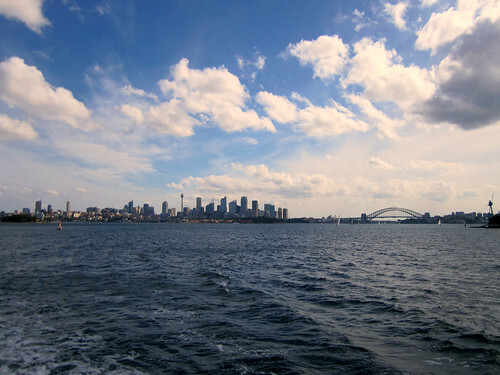 Australia 2010. Oh, I also got to try out my new camera – the Canon IXUS 120 IS – which, as you can see from the photos I took, is quite awesome. 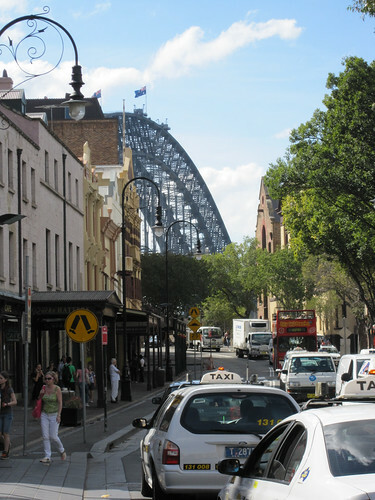 Quick reminder: You can see all the photos from this trip on my ‘Sydney April 2010’ Set on Flickr. 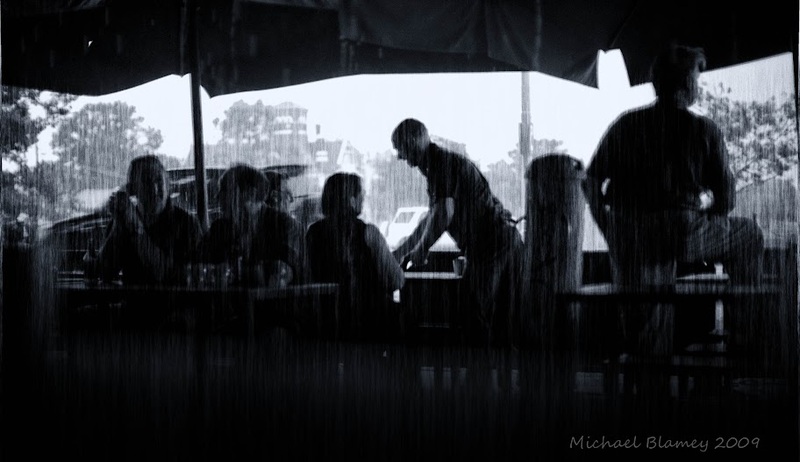 I’ve recently started following Michael Blamey’s Today in Melbourne photo blog and it’s really quite good. 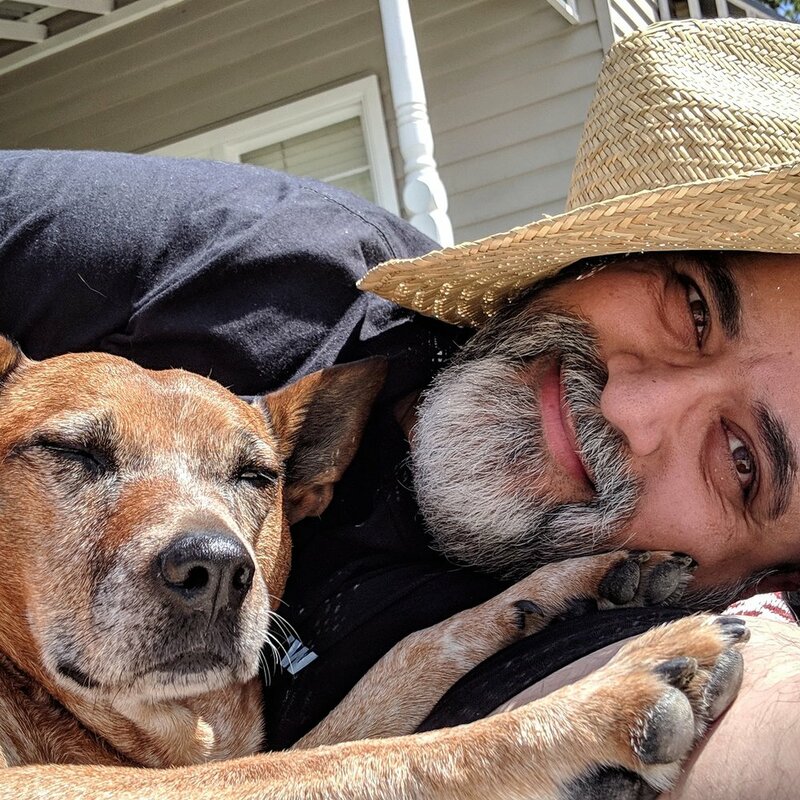 I’ve finally found a good use for my Flickr account: I’m going to use it to post photos that I probably won’t be adding to one of my albums on Picasa. I have a Flickr account and a Picasa account. I publish my photographs online to Picasa because my free Flickr account has an upload limit (100 MB per month) and a limit to the number of sets I can create (3). Picasa doesn’t have such limits. 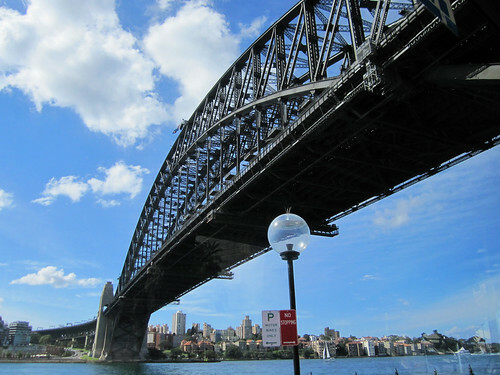 However the photos that I do upload to Picasa all belong to specific albums, even if that’s the broadly defined ‘Life in Melbourne’ album that I update every now and again. The plan, then, is to use Flickr to publish non-album, non-event, or simply good-but-not-great photos that I have taken and would like to share. I won’t be doing this with any regularity, though, so don’t hold your breath. Doing this should be fun, though. It might even encourage me to take more random photographs.